In the marvelous lobby, turn-of-the-20th-century Jugendstil ornamentation, tiles, and etched glass conjure the music-hall tinkle of the building's origins as a theater, though guest-room furnishings are for the most part standard-issue modern. A location on a quietish side street off Dam Square puts theaters, nightlife, and shopping within walking distance. Due to the recent hotel boom in Amsterdam there are now better properties in the same price range in the area. 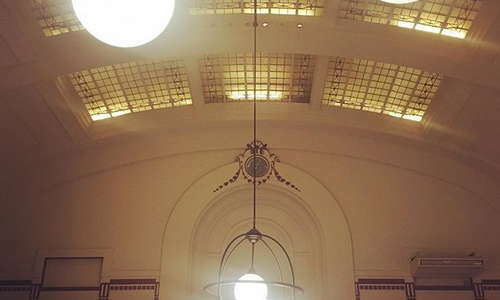 May we suggest the charming Hotel Estherea or classy newcomer Kimpton De Witt? Or why not try a trendy boutique option like INK Hotel Amsterdam or Hotel V Nesplein? Small rooms come with standard furnishings that are in need of a spruce-up, but there’s free Wi-Fi, satellite TV, a mini-fridge and a safe. If you’re a light sleeper, ask for a room at the back. YOU SHOULD KNOW This hotel does not have air conditioning, but there are fans. Cramped and dated en-suite bathrooms are kitted out with showers (or baths), basins and toilets, plus hairdryers and other standard amenities. 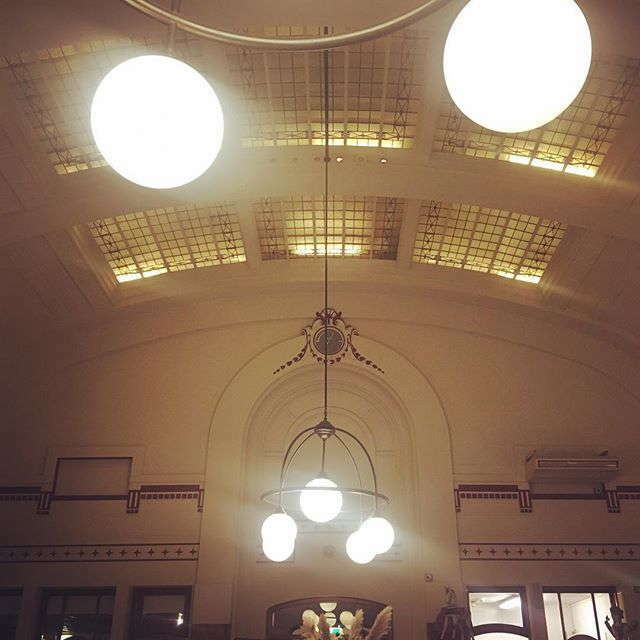 Steps away from busy Dam Square, you enter a large lobby with its original Jugendstil ornamentation intact. Staff at the 24-hour reception desk are friendly. There are also vending machines with drinks and snacks. Guests can enjoy a free buffet breakfast with plenty of hot and cold options. There is a lobby bar, but with so many cafes and bars in the area, we suggest that you get out there and explore. Located in the heart of the old city next to Dam Square, this hotel is steps away from Amsterdam’s central square with its Royal Palace and 15th-century New Church. 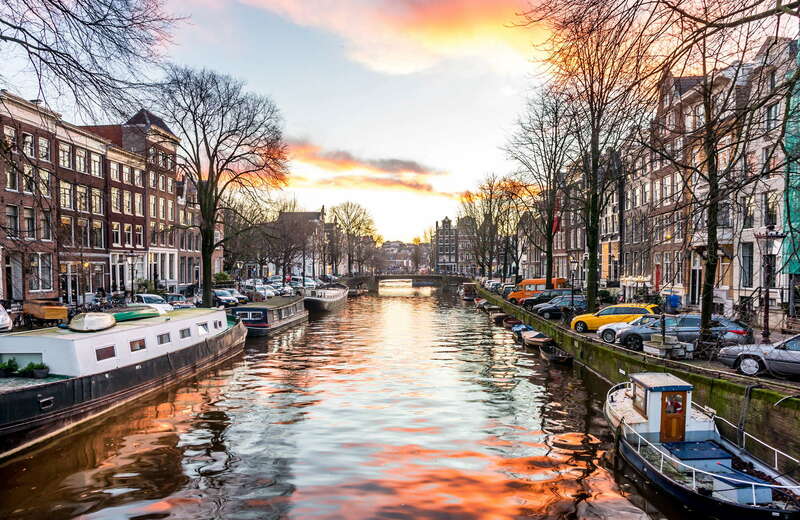 Central Station and the Red Light District are within walking distance, and Amsterdam’s chicest department stores and most popular shopping streets are around the corner. A tangle of nearby trams will take you wherever you need to go, but if you’ve brought your car, private parking is available (do make a reservation!). With its cozy fireside Chesterfields and low-lit, theatrically-inspired décor, The Lobby Restaurant (1-minute walk) sets the scene for delicious tête-à-têtes. It is a popular local hangout and dining destination (the flammkuchen, are famous! ), and there’s a covered outdoor terrace, too. Restaurant Anna (4-minute walk) serves modern European cuisine in a stylish setting that forms a stark contrast to its location at the heart of the Red Light District. A scenic 14-minute stroll will take you to one of the city’s most romantic restaurants, De Belhamel for French-Italian fare in a Belle Epoque ambiance. Drink in the authentic old “brown café” atmosphere at Café ‘t Molentje (5-minute walk), which has been around since the 1870s. Or, if you’re heading to the Red Light District Mata Hari (8-minute walk) offers a welcome respite with its retro atmosphere, comfy leather chairs and menu of local beers and bar bites (there’s a decent upstairs restaurant, should you want to stay for dinner, too). 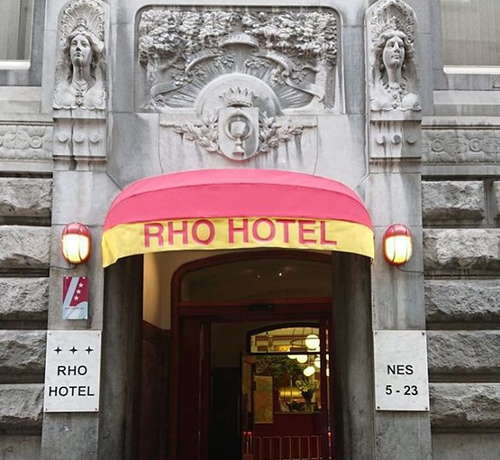 Situated in one of Amsterdam’s oldest streets, leading off of Dam square, RHO Hotel is an okay option for travelers who want to be in the center of it all, but there are better alternatives.